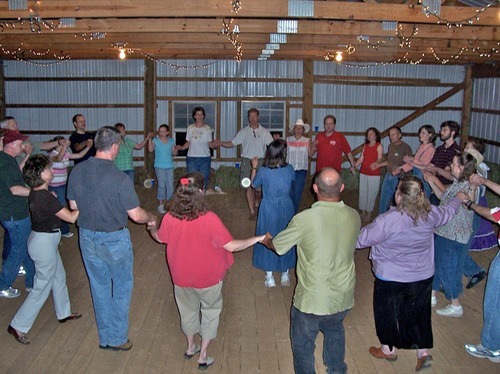 Circles, squares, whole set and contra dances – some call an evening of these kinds of dances a “barn dance.” Others use the terms “hoedown,” “family dance,” or even “barnless dance.” We have tended to settle on the phrase “traditional community dance,” or just “community dance.” Whatever you call it, it’s a great way to connect with friends and family through music, using dancing as the medium. 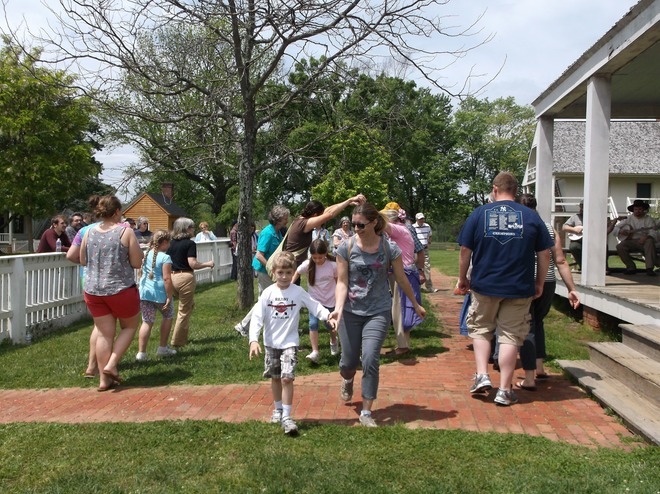 When planning your wedding, reunion, birthday party, church social, or company picnic, consider including a community dance as a way to celebrate! But what if you have no dance experience? No problem! Marcia will teach you everything you need to know. She will walk you through each dance, giving you a preview of how it works, showing you how to do the simple figures that will allow you to meet and greet a number of other folks during the course of each dance. It’s fun, and it brings you closer together as a group. And it’s appropriate for all ages and levels of experience. If you can walk, you can do these dances! Some of the dances have been around for centuries. Others are newer but based on older, traditional dances. Marcia has called traditional community dances for all sorts of events and is especially good at working with beginners, introducing them to this joyful activity with clear instructions and an inclusive, easy-going attitude. Since Marcia can play guitar or banjo while she calls, with Woody playing fiddle, we can offer the entire package – teaching, calling, and live musical accompaniment – with just the two of us. If it is a particularly large group, we have sometimes brought along another musician or two to play with us so that Marcia can focus on calling. 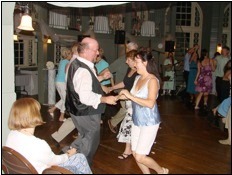 In addition, we can offer some couple dancing (waltzes, polkas, two-steps and swing) to intersperse with the group dances. Whether folks are joining in or just watching, dance adds a memorable experience to any event. For links to videos of Marcia calling, check out our Videos page. 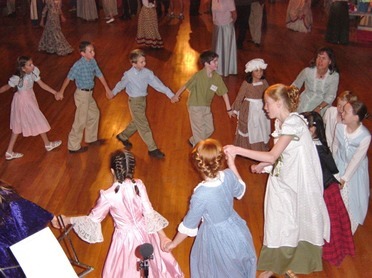 For a more detailed description of these types of dances, click here.